I spent a little over an hour last week at the Weisinger winery, just about 5 minutes south of here on Siskiyou Boulevard. Believe it or not, I was doing RESEARCH for my sermon, I swear! After reading through this passage a number of times, I thought it might be helpful to understand a bit about grapes, vines, vineyards, and the process of making wine. I spent time with Eric Weisinger, who is the son of John Weisinger, who I understand used to be an assistant pastor here a long time ago from 1982-84. Eric is the one who makes the wine. He told me quite a bit about grapes, vines and the wine making process. The grapes are of course very important to making a good bottle of wine. They aren’t out yet- This time of year is what is called “Bud Break” when the buds are just starting to come out of the vines. The vines are now growing shoots, and in time those shoots will produce clusters of grapes. Eric told me that most plants every year produce 10-12 pounds of grapes. The grapes, or “fruit” as Eric called them, are of course the most important part of the very involved process of making wine. Eric mentioned that the grape vines put a lot of energy into making grapes, in order for them to reproduce and survive. The grape vines want their fruit to be sweet, so as to attract wildlife. The vintner looks to pick the grapes at the perfect moment- generally sometime in September, depending upon the intent of the wine maker, and Eric determines that moment. Then it is time to make wine. There is a 72 hour window that Eric has to get the grapes harvested. One of Eric’s finest wines is Petit Pompadour. It is a masterful wine. Ok-I admit to a bit of tasting while I was there. In fact, I bought 2 bottles, and one of them was the Petit Pompadour. Making a nice wine depends so much on the wine maker- in fact Eric told me that he believes that the eventual flavor of a certain wine is connected to the very soul of the wine maker. Another words, if Eric is feeling joyful, there will be the spirit of joy in that particular wine. If, by contrast, he is feeling sorrow or anger, that will also be reflected in the flavor of the wine. So, the flavor of the wine depends very much upon the wine maker, but even more so on the quality of the grape produced in the vineyard. Today’s passage is about a vineyard, a wine maker and grapes. Jesus calls himself the true vine. Israel had seen itself in this way for centuries- a vine from God’s vineyard. Joseph is called the “Fruitful vine” in Genesis 49:22. The temple entrance door in Jerusalem was adorned with a golden vine with large clusters of grapes. Israel was called a luxuriant vine in Hosea 10:1, a choice vine wholly of pure seed in Jeremiah 2:21, a vine brought from Egypt and planted in the mountains of Israel in Psalm 80:8-11. But God the Gardener had little joy from this vineyard. Sin kept creeping in and messing up the wine. The vineyard didn’t yield the fruit that was needed to make good wine. Its fruit was only wild grapes (Isa. 5:4), and the vine turned sour (Jer. 2:21). Then Jesus came on the scene, and said, “I am the TRUE vine.” Jesus was the true vine, bringing forth the fruit God was looking for, the one who brought hope to the vineyard. Jesus was the fruition of all those centuries of frustration with Israel, of a vineyard that failed to produce. He was the vine that would produce the fruit needed to spread God’s word and bring light to the world. 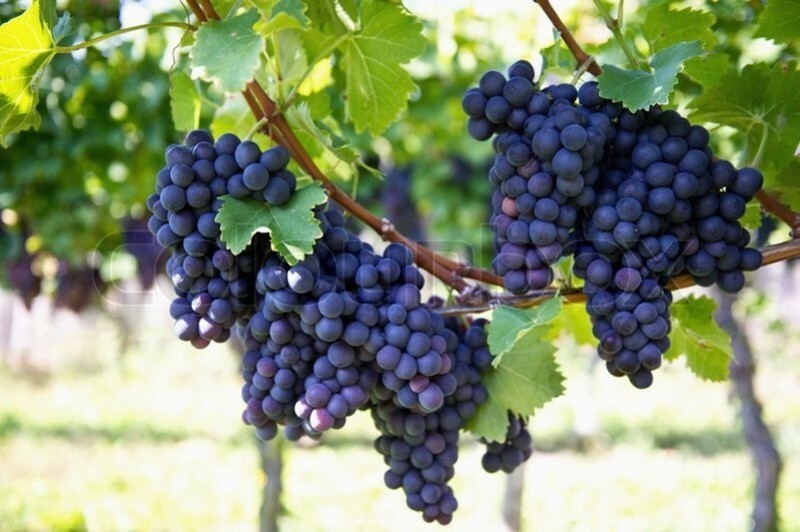 In this story for today, you can think of Jesus the true vine as the main stalk, from which other shoots grow and in time sprout forth clusters of grapes. We in this story are those new shoots. Now the vine’s sole purpose for existence is bearing fruit for the owner. This is a huge statement for us to consider. First, it means that God owns us. Secondly, it means that we are called to produce fruit of faith. God sees this as our sole purpose in life. Like the grape vine, we too are called to put a lot of effort into making fruit, so that this world might be a better place. All the other priorities we have in this life- providing for our families, making ends meet, seeking financial stability, providing a good education for our children, planning for retirement- all of those things pale in comparison to this sole purpose God has for us- to bear fruit. How we can bear fruit? Jesus tells us to abide in him, and he will abide in us. This is a covenant statement, a two-way agreement. If we abide in Jesus, then he will abide in us, and we will bear fruit. What does the word abide mean? In English it means “to conform to, to comply with.”(American Heritage Dictionary) It means to learn and to follow his teachings in our lives. Matthew 5-7 is a great place to start to find Jesus’ teachings, in his Beatitudes. Abiding in Jesus means we are connected with him, like that new shoot growing from the vine. Decades ago, when I graduated from seminary and Paula and I moved to Sacramento, I can remember how frustrated I was when it came to trying to listen to Oakland A’s baseball games on the radio. For some reason, there were no local radio channels at the time who felt like carrying A’s games. So I can remember taking a portable radio out into our backyard patio, and putting aluminum foil on the antenna, and moving the radio around until it faced just the right direction and I could get the faint broadcast from a Bay Area station. Sometimes I could catch parts of the game, and sometimes my connection was so weak I couldn’t tell if I was listening to play by play of the game, or a commercial. And now, living in Ashland, with no radio station to listen to, no TV coverage to see a game, my connection to my beloved A’s is even weaker, unless I am willing to pony up a monthly fee to pay for internet radio/TV access. The further away I am from Oakland and any radio signal or lack of tv coverage, the worse my connection is. The same is true of our connection with Christ. The further away from Christ we are, the weaker our connection. If we rarely read Christ’s teachings or try to live them out in our daily lives, our connection with Christ will be faint. We won’t fully understand our faith or God’s intent that we are to bear fruit as we abide in Christ. It is important to have personal time set aside for connection- for worship, service, Bible study and prayer. Those are the connections that feed us, that can cause growth and produce the kind of fruit God is looking for from our lives. What else do we need to do to produce fruit? We need to go out and be disciples of Christ. A disciple is “One who subscribes to the teachings of a master, and subscribes to spreading them.”(American Heritage Dictionary) We are called to spread our faith in our master, Jesus by what we say, and by sharing our faith with others also through what we do. The following saying is attributed to St. Francis of Assisi-"Preach the gospel at all times. If necessary, use words." Howdy and Debbie Miller, two members of our own congregation are examples of just such discipleship. As Howdy and Debbie went into small villages around Ladakh, India, they had to be careful what they said about their faith. Yet their actions of helping farm animals and farmers in need demonstrated Christ’s love, even without words. Toward the end of their trip, one official administrator asked Howdy about the meaning of Easter, which he was able to share. Up until that moment, his and Debbie’s good deeds demonstrated their faith-no words needed. So, bearing fruit includes doing good deeds on behalf of Christ. That almost sounds like something from Boy Scouts, doesn’t it? I remember as a child being involved first in Cub Scouts, then in Weblos, an acronym for, "We'll Be Loyal Scouts". One of the things we did in Weblos was earn badges for good deeds accomplished. I had a shoulder emblem on my scout shirt, a place to put my badges as I earned them. The more badges I earned, the more I understood about scouting, and the better scout I became. The same is true of our good deeds in life. The more we reach out in God’s love and compassion, the more we help those who struggle, the more we share in joy, the better we will understand about being “Christian,” and the better Christian we will be. The more fruit we bear, the more we will understand how to live in faith. The next component needed to bear fruit is obedience-“submissive to control, dutiful;” (American Heritage Dictionary) a word by its definition that might make us squirm a bit. Protestant reformer Martin Luther saw Christians as “little Christs,” going about the world trying to emulate Christ. This means being obedient in our lives to his teachings, not an easy undertaking. We have such strong wills. We desire to be independent and want to make our own way in life, rather than being obedient to something or someone. Consider the story of St. Francis of Assisi whom I just quoted as one such example. In early life, Francis was a rich young youth, a flashy dresser, nicknamed “Frenchy” and a leader of a street gang, whose motto was “Wits and fists.” He went to church with his family, but had at best a slight interest in faith. Then one day, as he was kneeling in San Damiano, a small chapel which was in disrepair, he heard a voice from the cross say- “Repair my church which is falling into ruin.” After a period of reflection and prayer, it became clear to Francis that God wasn’t just speaking about San Damiano. God was calling him from self-reliance and independence to obedience- to love and serve God, and to honor all creatures. He followed that call. He no longer dressed in fine clothes. Instead he wore discarded rags and lived on table scraps. He left his gang, and in time even converted one or two of them to follow him. He became a man who was obedient to God, humble in spirit, poor in things, but rich in mercy. He and his followers went about bearing fruit, caring for the poor and doing good deeds. The Bible specifically mentions the kind of fruit Francis produced. In Galatians 5:19-23, we learn that “The fruit of the Spirit is love, joy, peace, patience, kindness, generosity, faithfulness, gentleness, and self-control.” As we understand God’s sole desire for us, to bear this kind of fruit, as we shift our focus from self-preservation to being “little Christs” in this world, we will see a difference at our very core, and we will bear much fruit. As Jesus is the true vine in this story, and we are the new shoots that sprout forth from the stalk, so God plays multiple roles- First, God is the gardener. The gardener is the one who tills the soil, spades soil, clears, plants- God cuts and prunes. God is the vinedresser. The vinedresser does two things to ensure maximum vine production of fruit- In winter, he cuts off dry and withered branches. This may involve pruning the vines to the extent that only the stalks remain. Later, when the vine has sprouted leaves, he removes the smaller shoots so that the main fruit bearing branches receive adequate nourishment. Every branch that does not bear fruit is said to be good for nothing but the fire. Fire is a common symbol for judgment. And this part of today’s story should make us squirm a bit in our seats. God wants us to live fruitful lives, to live in faith by word and deed, or in the eyes of our maker all of our accomplishments are worth nothing. Branches that bear no fruit are cut off, gathered, and burned. This part of the story is not just about judgment- it also has to do with the worth of a person’s life- If we bear fruit we have worth and value to God and for God’s purposes. Eric mentioned to me that the vines that cease to produce fruit are either gathered into a burn pile, used to make Christmas wreaths, used for barbecues as the smoke flavors the meat, or cut into pieces so that they can be folded back into the soil and decompose. Our God calls us to live lives of purpose, not ones that end up being used for re purpose. If we live faithful lives, lives that abide in Christ and bear much fruit, it is then that God the master wine maker can take our fruitful efforts to create a masterful wine- a wine that brings hope, mercy, justice and love to this world. Let us go from this place today, having been challenged by the words of Jesus, that we might abide in him, bear fruit, and live lives of faithful purpose. Amen.